Working as an LPN could very well be one of the most rewarding careers available. One of the most important reasons for becoming a nurse is to help others, which is actually a benefit in itself. There are several different paths that a licensed practical nurse can pursue. Some of you may know what area you plan to work in for your entire career as a nurse. However, once you get in the field, don’t be disappointed if its’ not exactly as you had expected. There are plenty of other areas of nursing that you can consider. And plus, you may end up pleasantly surprised. The career of practical nursing is rapidly growing. As the baby boomers are entering retirement, we are likely to see a rapid increase in the amount of positions available. There are plenty of opportunities for advancement for LPN’s in both employment and education. Read more about the LPN employment outlook. Most importantly, it’s okay if you aren’t sure exactly where you want to work after graduation. Hopefully these descriptions help give you a little insight into what you can expect in these particular fields of practical nursing. Find an LPN or LVN job. If you work well under pressure and enjoy a fast-paced environment, you may be thinking about pursuing a career as a licensed practical nurse in the ER. If you are able to think fast and move quickly in emergency situations, then you may be headed in the right career. 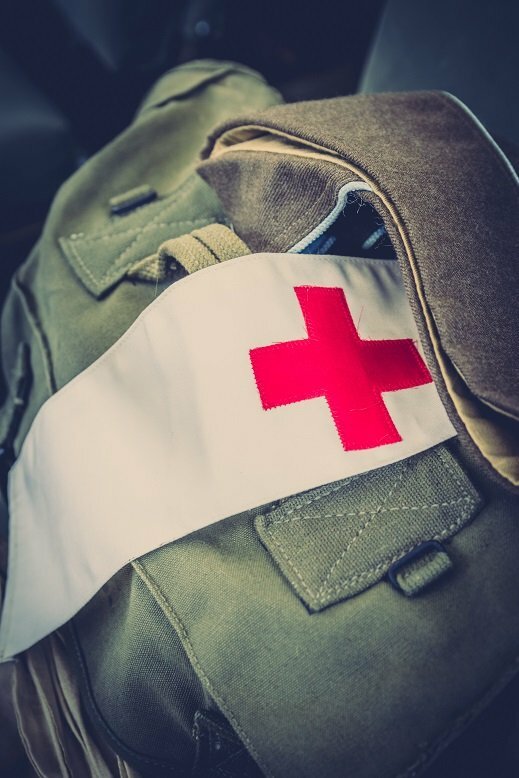 The ability to follow orders, prioritize responsibilities accordingly, and provide exceptional skilled nursing techniques is highly important in this field. Each day is guaranteed to be different when you work in an emergency room. You may be nearing the end of a slow day and all of a sudden be bombarded with multiple patients. Since ER’s are about 24 hours a day and 7 days a week, you may be required to work on-call, weekends, holidays, rotating shifts, and nights. Many of the patients you see could have life-threatening injuries. Working in an ER is definitely not the ideal position for someone with a queasy stomach. Traditionally, there are no extra requirements for an LPN who wishes to work in the emergency room. Depending on which state you live in, you may be required to be IV certified prior to being hired to work in this setting. Phlebotomy skills will likely be highly utilized in this area. Other additional jobs duties that are commonly performed by an LPN are: medication administration, documentation, vital signs, dressing wounds, monitoring catheters, and more. Labor and delivery often appeals to many nursing students, recent graduates, or even nurses that have been in the field for a while. Most positions as a nurse are performed as a care provider for the sick or injured. As a labor and delivery nurse, it is one of the few times that you get to care for individuals who are not usually sick or injured. It’s a very happy, joyful time that you get to witness and be a part of for many families. As a labor and delivery LPN, you will likely work in a hospital or hospital setting. Some of your job duties will include caring for the mother before delivery and/or during delivery. You may also assist the physician in the delivery of the baby, via vaginal delivery or Cesarean delivery. Another area that you may find yourself working is during post-partum, or caring for the mother and/or newborn after delivery. Some of your duties may include taking vital signs for mom and baby, administering medications, assisting the physician during delivery, educating the family on infant care, and various other possible tasks. Labor and delivery nurses work with a team of doctors, midwives, nurses, and nursing assistants. Key qualities that a person should have in order to be a successful nurse in this field are: great communications skills, desire to work with children and families, and be a great team player. Most license practical nursing programs will have a course in labor and delivery. You must be a licensed practical nurse before you can work as a labor and delivery nurse. However, there is no additional training prior to obtaining a position. Most of the training for this position is obtained on the job. Read more about classes in maternal & neonatal nursing. Someone who wishes to work as an oncology nurse would be interested in working with patients who have developed cancer. They could also work as an educator and pursue a career that focuses on preventing the risk for developing cancer. LPN’s can be found working in many oncologist offices. Some of your job duties could include typical clinical duties of any nurse: vital signs, injections, blood draws. You could also provide back-office support such as charting, referrals, scheduling appointments, or triage. You can also find employment at hospitals on the oncology floor. Your job duties will likely be limited, however. Many of the specialized advancements can only be obtained by a Registered Nurse. So if you are an LPN and seriously interested in working with oncology patients, you may want to consider pursuing your RN degree. Oncology nurses also have the option to specialize in a certain area of oncology such as pediatric or breast cancer, just to name a couple. Or, you could choose to work in hospice. Hospice focuses on keeping the patient comfortable so much of your attention will be geared toward pain management. One of the best features about being a nurse is that you have so many different fields that you can go into. If you ask a class of nursing students why they are interested in becoming a nurse, you will get many different answers. For myself, I remember that most of my nursing classmates were interested in becoming pediatric nurses after graduation. Even after we were told repeatedly that there were few positions in our area available to LPN’s, many of my fellow classmates were unaffected. They had their minds set that they wanted to work with children and were determined to find a position in that area. Our instructors were correct when they told us that there were only few areas of pediatric nursing that we could do. However, I don’t think that our title as an LPN vs. an RN has anything to do with it. I think most of it has to do with the fact that unless you live by a hospital or facility specifically made for children, jobs will be a little more hard to come by. Pediatric nurses have some of those most admirable qualities there are. To be a pediatric nurse, you would have to be emotionally strong, empathetic, patient, and loving. If you are a pediatric nurse or considering becoming one, then I personally thank you. You are an amazing person. Aside from personal or emotional qualities, a person that is interested in pursuing a pediatric career usually won’t be required to have additional training. 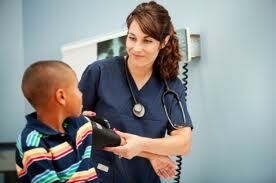 If you would like to work for a pediatric hospital, then you may be required to have experience prior to being hired. Many hospitals like seeing experience before they consider offering employment. If you work as an LPN in a hospital for children and babies, then your job duties would be a lot different than if you were working in a doctors’ office or clinic. Some of your duties in a hospital setting would include wound care, monitoring catheters, preparing and administering enemas, assisting the patient with activities of daily living (bathing, eating, dressing, etc. ), and many other various duties. You could also be assigned to work different floors or areas within the hospital, so flexibility is an important quality to have as a nurse. A great place to start with a pediatric career is at a pediatric doctor’s office or clinic. You will be required to take the patients vital signs, administer medications and/or vaccinations, educate the patient and family, perform tests, and many other basic duties that apply to your job description. Many physicians’ offices will offer on-the-job training to their employees. This is a great starting point for many recent graduates or nurses and most offices are prime examples of the important of teamwork. There are also jobs available for LPN’s as a home care nurse. Like hospitals, many home health agencies will prefer to see that you have experience as either a pediatric nurse or home care nurse. 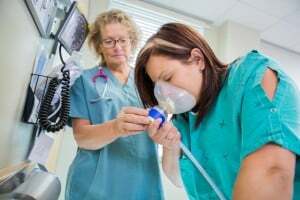 Sometimes, they even prefer the individual to have both types of nursing experiences before they will consider hiring you. Read more about the pediatric nursing classes taken within a possible LPN program. Rehabilitative nursing should not be a hard area of nursing to get into as a licensed practical nurse. There are plenty of jobs available in this popular field of LPN’s. The same goes for positions as an LPN searching for a career that specializes in gerontology. For those of you not sure, rehabilitative nurses provide care to individuals with long-term disabilities or illnesses. As a nurse, they help patients to regain and maintain function. If you are interested or currently work in the field of gerontology, then your area of nursing specializes in the elderly population. As a rehabilitative LPN, some of your job duties may include coordinating activities for the client to best suit their needs. This will also include following up with each therapy that the client is attending: speech, physical, occupational, etc. Other duties include taking vital signs, administering medication, recording intake and output, extensive charting, wound care, etc. Another important duty of the rehab LPN is communication. It is highly important to get on the same page with every caregiver that is helping each individual patient. Teamwork is a must in this field. Communication is also extremely important in regards to the patient. They need to be informed of everything pertinent to them and also their family, if requested by the patient. Always remember to follow HIPPA’s guidelines. There usually isn't any special training that needs to be given to an LPN who is interested in working as a rehab nurse. Places of employment include hospitals, clinics, and home care. Each of these will have their own set of requirements and training. If you are interested in working as a nurse in gerontology, then you can find positions at a nursing home, doctor’s office, clinic, or home health care agency. This is a great field to utilize your skilled nursing qualities, as they are often used many times. Compared to rehab nursing, gerontology nursing usually uses more “hands on” nursing. In rehab care, the idea is to promote the patient’s ability to learn how to do things themselves. But in gerontology, you are likely to have patients who are fully capable of doing almost everything themselves to patients who require a lot more nursing care. Read more about the the curriculum of gerontology classes of some LPN programs. Once you become an LPN and you decide to further your education, see what types of BSN careers are available to you.